I’ve been on a huge sock knitting kick lately which stemmed from the past few weeks that I’ve been organizing my stash and UFOs. I have a lot of socks on the needles. An embarrassingly large amount of socks. 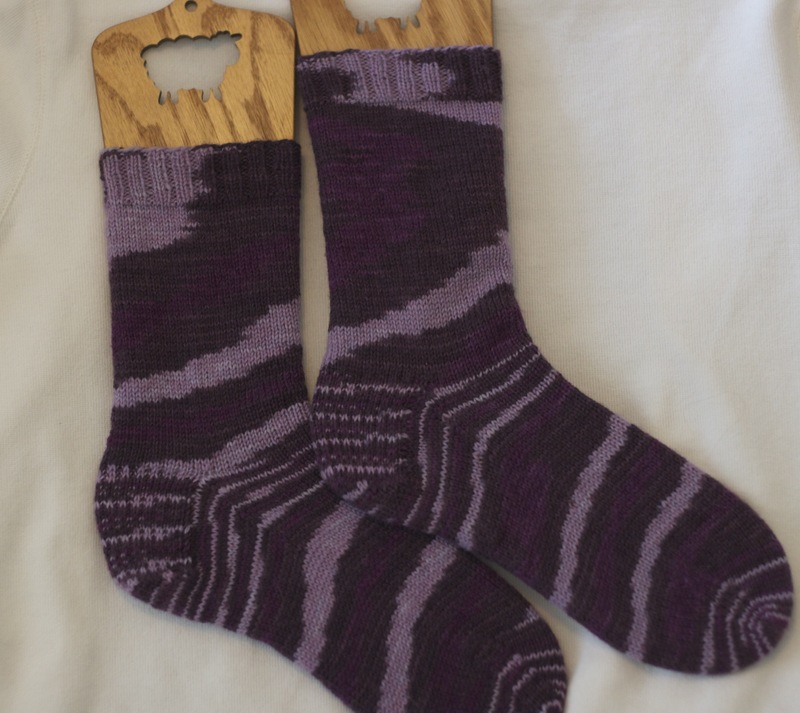 For this pair – I had cast on a few months ago using Susan Anderson’s How I Make My Socks. I stumbled across this tutorial from Rock Granola on Zite and realized I had a pair of mini-circs that I had tried to use years ago and quickly gave up on. 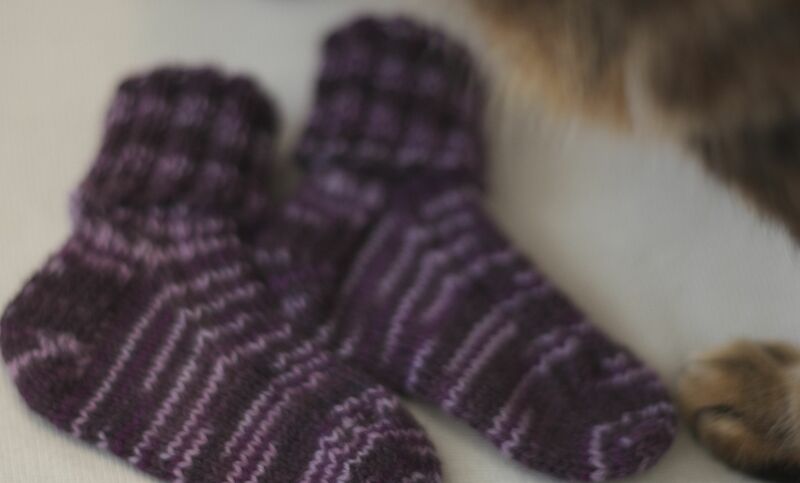 Inspired, I pulled them back out and cast on with some Knitpicks yarn that had been in my stash awhile (see the trend?). I made it to the gusset, got confused and then abandoned them in my WIPs pile. I’m a toe-up sock knitter and the only top down socks I’ve done have been anklets. I picked these back up two weeks ago and was determined to finish them. I sat down and carefully reread everything. Within a day I got the first one done and moved on to the second. For this one I had to switch back to magic loop. I don’t mind the mini-circs but it was a bit too much while I was trying to get the hang of top down construction. 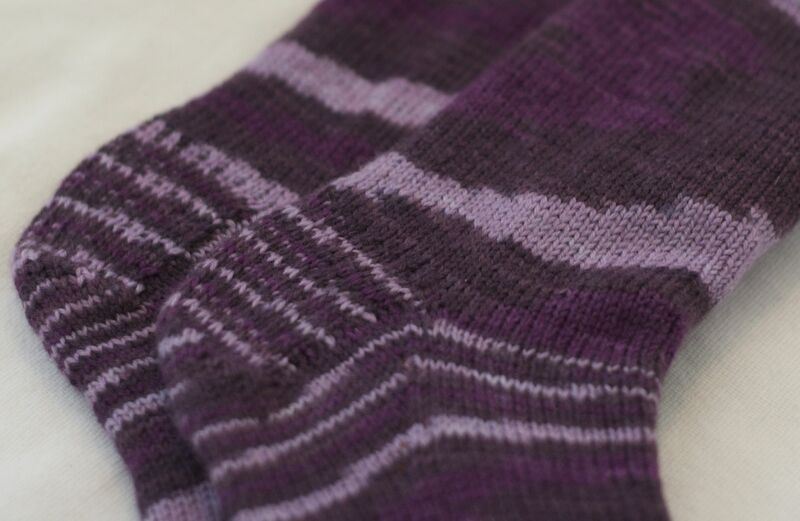 The second sock breezed through and now I have a finished and very badly pooled pair. Now I did say two pairs. 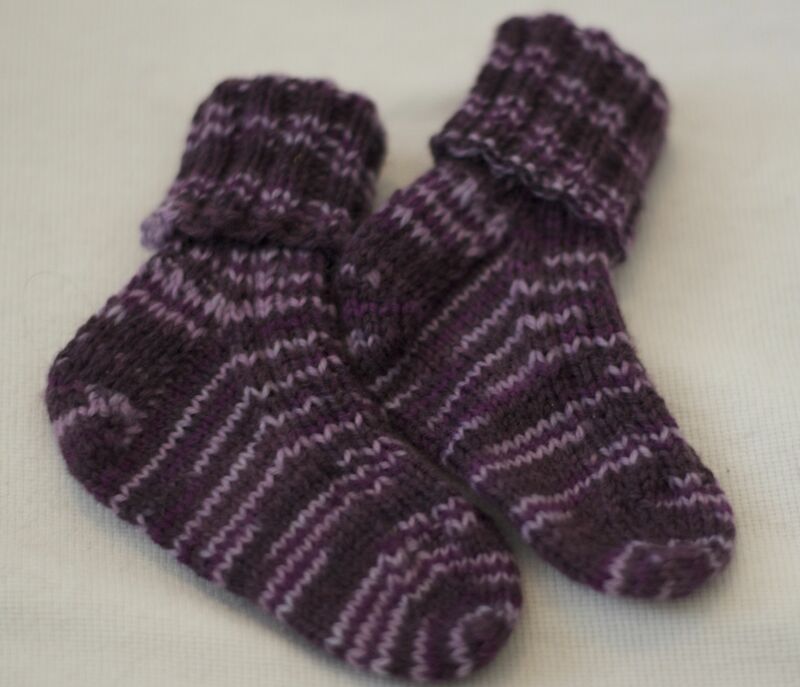 After finishing the first pair, I stumbled across a pattern for baby socks. No, I’m not pregnant but I wanted some to have around for gift knitting. They worked up quickly and they’re adorable! And as all cats must, Pumpkin had to get in on the photo shoot.